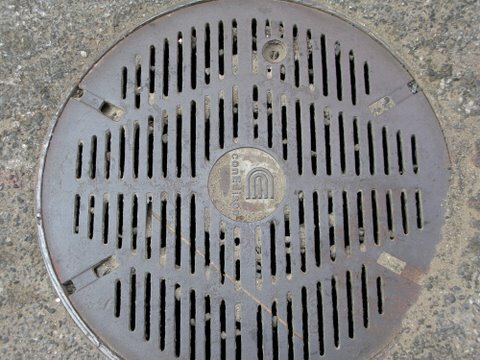 In which The Gay Recluse admires manholes. Time/Location: May 2, 2008 on 35th Street between 6th Avenue and Madison. 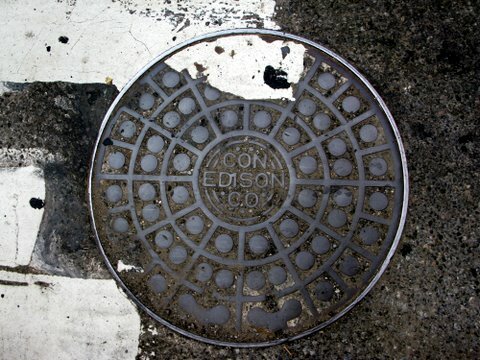 By our calculations, there are approximately ten zillion manholes in New York City, and each has a cover; this is one of the largest and most striking. The alternating pattern of single and interlocking circles — reminiscent of an ancient calendar of some lost civilization — does not fail to hypnotize, and even the font strikes us as understated, dignified and heroic. 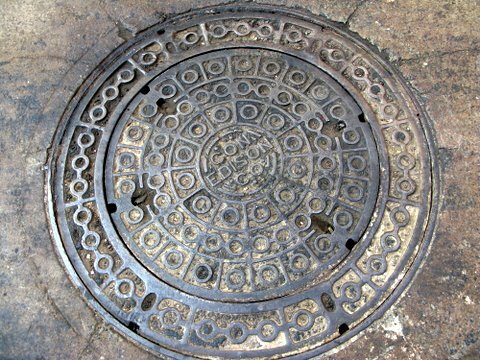 We wish all manhole covers could be so striking! This one, by contrast, seems rather austere and corporate. The logo depresses us. 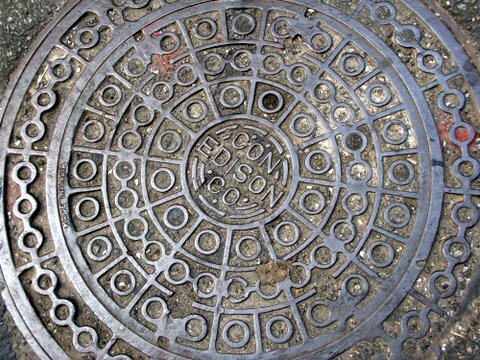 Here’s another antique verson, which we carbon-dated to the year 1438, when the city was first wired for electricity. Seriously, how awesome is this pattern? Imagine how much better almost any building facade would look if painted like this. We think of all the dumb things hanging in museums and wonder why this has been left to disintegrate under the asphalt. 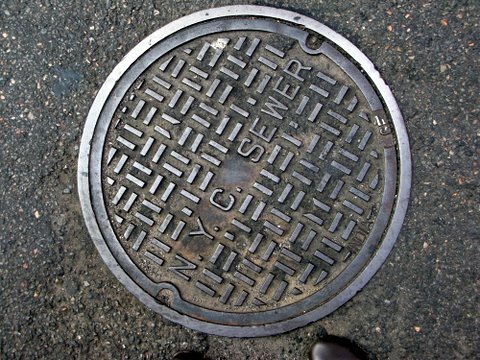 Someone recently tried to insist that every manhole is round. Au contraire, my friend! 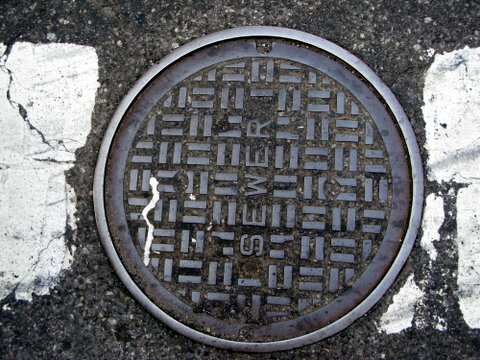 We like these sewer treatments. 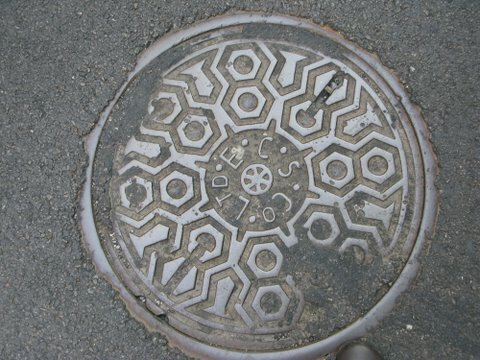 This manhole cover is thought to be almost two thousand years old. 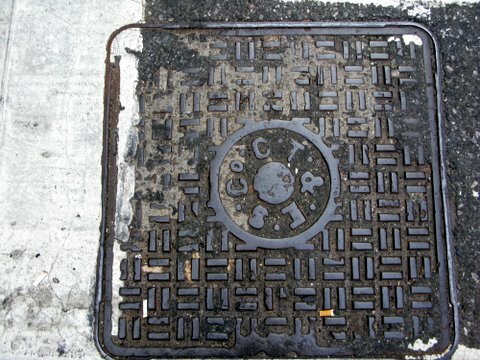 Here’s another of the extra-large manholes. 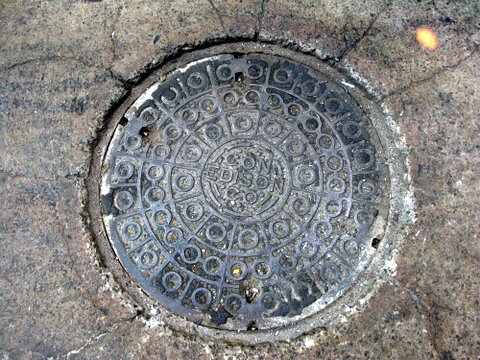 Sadly, this exquisite manhole cover seems to have sustained some damage, so it will probably not last more than 1000 years.